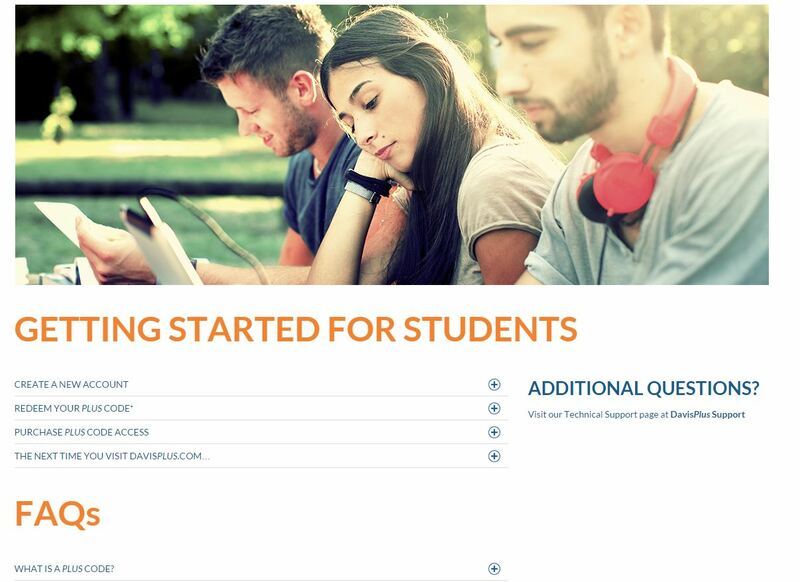 This past winter, we surveyed some of the top users on our student and instructor resource site, DavisPlus.com, to see how we could make the site easier to use. 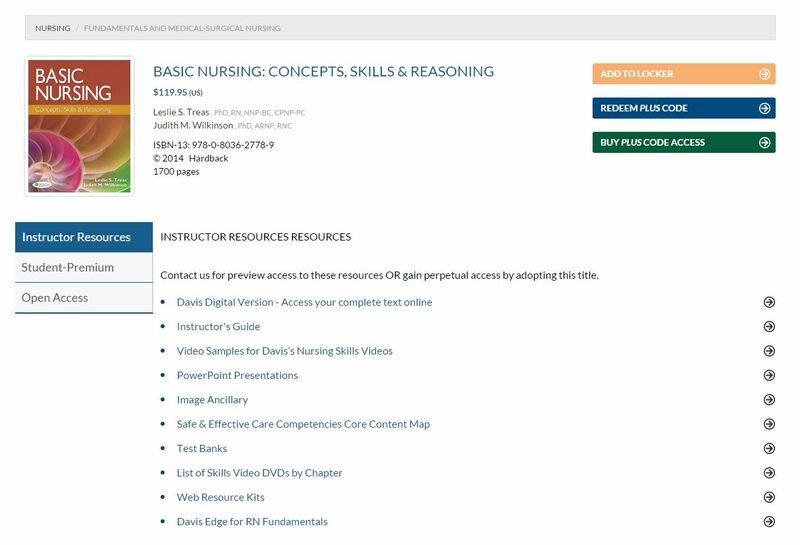 If you’ve never been there before, DavisPlus is where you can go to view an ebook version of your textbook, get sample test questions, procedure videos, and so much more. 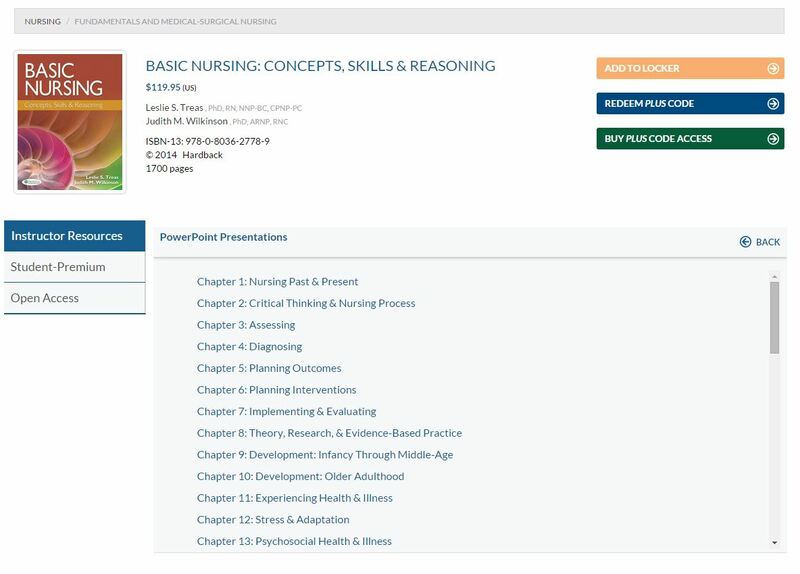 For instructors, it’s the place where we keep all the PowerPoint slides, test banks, instructor guides, lecture videos, and anything else that will help you integrate the textbook into your curriculum and enhance your students’ understanding of the materials. For students, it’s a great place to find study resources. If you bought a new textbook, the Plus Code on the inside front cover will give you access to everything available for your book on our site. Too many words. Brain does not compute. This is the old homepage. In a few weeks, this page will be gone forever! We’re replacing it with our new design – you can see the new homepage up at the top of this post. We wanted to make it less busy, and easier to scan and read on a tablet or phone. We decided to make our “beta site” available to preview before we make the switch, because we want to know what you think! Did we do a good job? Is it easier to use? You can email us any time at feedback@fadavis.com to let us know. We separated the basic instructions from some of our Frequently Asked Questions to cover as much as possible. Another thing we heard from customers was that it was hard to find the resources you needed, and when you clicked on them to open them, they opened at the bottom of the screen and if you didn’t scroll down you could miss it completely! No good. So we redesigned our product pages to fix it. Now the resources open on top of the list, and you can hit BACK to open something else! Everything opens in the same spot, so you don’t have to search for it. And finally, we know that questions come up all the time, especially when you’re using a site you’ve never used before. We wanted our customers to have a place to go with all the information they might need – and we wanted to make it easy to find. We updated and redesigned our Support Center. 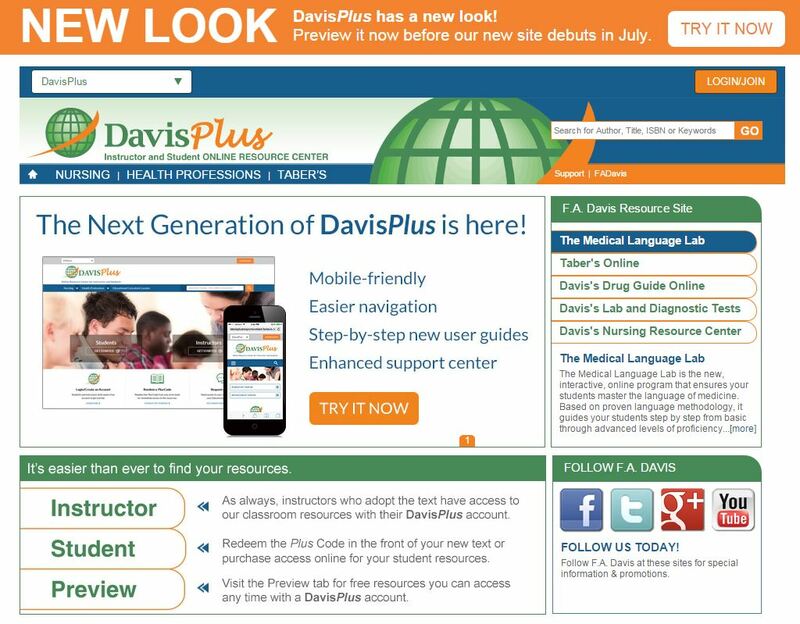 If you’ve ever used one of our products like Davis Edge or the Medical Language Lab, the Support Center is identical now. Now no matter what F.A. 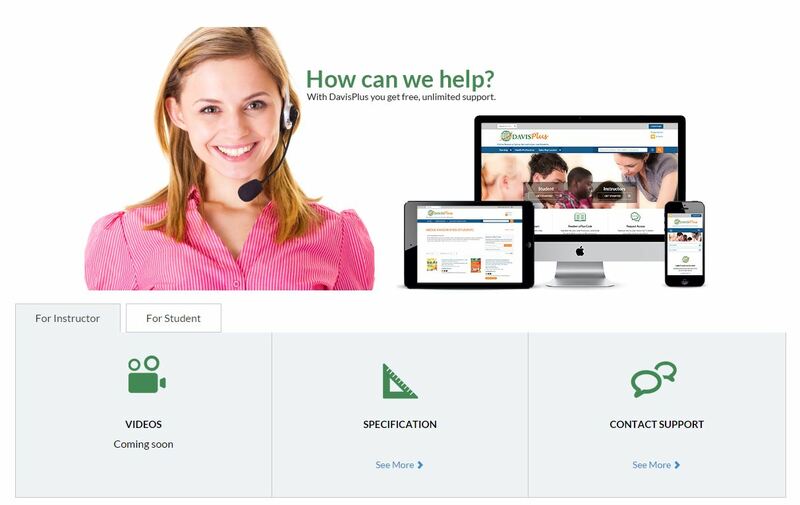 Davis site you’re on, the Support Center is easy to navigate! But don’t take our word for it – try the new site for yourself now! Let us know how we did. Question as a student are we able to see the answers to the review questions it gives online not the ones at the end of the chapters?